Get direct reservations from Skyscanner by activating CPA based Skyscanner Hotels, pay commissions only after guests stay at your hotel. Want to generate direct reservations from Skyscanner? Skyscanner Hotels is a global platform connecting you to millions of new customers from 31 countries. Launched in late 2014, it has experienced 70% year on year growth and become a global sales platform for both hotel brands and OTAs. Skyscanner Hotels offers your business the chance to connect your hotel offering to millions of guests during their path to purchase, across the fully localised and mobile enabled Skyscanner website in over 30 languages. Tapping into a stream of highly qualified traffic ensures a unique opportunity to boost direct sales through the platform and enjoy a more cost-effective acquisition price when compared with other distribution channels. HotelRunner is an official worldwide Skyscanner Hotels partner. With Skyscanner Hotels, guests can book directly on your property’s website and the bookings are made through your HotelRunner Booking Button. So you’ll own the relationship from tap to booking. 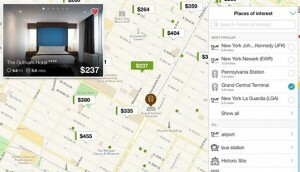 Skyscanner partners with HotelRunner in order to integrate your hotel to its platform. 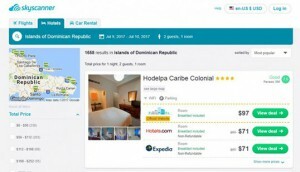 Hotels working with CPA based Skyscanner Hotels pay Skyscanner a commission based on the rate booked. Hotels only pay a commission when a valid hotel reservation is consumed. Commissions to Skyscanner are paid through HotelRunner.